Most Britons of goodwill welcome the report of the government’s riot inquiry panel on the summer riots across the UK last year. They also say yes to the calming pleas of David Lammy, the Black MP, in his book Out of the Ashes, a plea for peace in strife-torn, multi-racial Tottenham, London. However, the media’s coverage is the subtext of riotous times. Did the newsrooms spread misinformation and demonise Mark Duggan, the Black, male victim of the fatal shooting by police in Tottenham? Did news reporters fuel the disturbances and condemn Black people, the poor and disaffected youth? “Many Black people, particularly young ones, I have spoken with think the “riots” were badly reported”, said Marc Wadsworth, organiser of the Media and the Riots mass meeting in November 2011, The veteran Black newsman and editor of The-Latest.com, a citizen’s online journal, said “Youth dispute the “nasty stereotypes about them being used by biased journalists”. Evidence in the inquiry report published 28 March by the Riots Communities and Victims Panel confirms the media’s viral violence. Breaking news tickers of major news outlets spread unsubstantiated rumours about “criminal and Black rioters”. The 24-hour news coverage on BBC News and Sky News exaggerated the extent of rioting in their areas, said Josh Halliday in the Guardian Media online 28 March. Their unrelenting scaremongering actually directed people to trouble spots and “helped fuel the disorder in London and other UK cities”, according to the panel. Thus, we arrive at an alarming conclusion. UK newsrooms stand accused — from reporters to editors to news channels, media companies and investors to the public broadcaster BBC. Media journalists incited the disturbances not youth and Blackberry’s, Twitter, Facebook and social networks, as falsely claimed. The Guardian and the London School of Economics study confirmed this in 2011, based on interviews with 270 rioters and an analysis of 2.6m riot-related tweets. We must conclude that the rolling news coverage of the disturbances was more like a media lynching than objective reportage. The evidence suggests that the media’s stewardship of the news requires urgent review, especially in periods of urban crisis. Politicians at the highest levels should act against media disenfranchisement of Black people. Nick Clegg, Liberal Democrat MP, Deputy Prime Minister and patron of the inquiry panel, must address a crucial national issue: why is there no equality and few Black people in the nation’s media? Why deny access to skills and perspectives that only they have in a globalising multi-cultural nation? Mr Clegg could use his good offices to launch a media fair play investigation. The media chiefs must sit down together with society’s civil rights guardians. Among them the equalities and local government ministers, Equality and Human Rights Commission and the government’s ethnic minorities advisory committee. Partners should include Black and inner city community representatives and Liberty, the campaigning protector of civil liberties and human rights for everyone. Furthermore, Clegg should follow his own precedent for media change. He celebrated Lord Scarman’s call for “direct coordinated attack on racial disadvantage” following the Brixton disturbances in 1981. Thirty years on, Clegg was moved to say, “Real equality is not just the absence of prejudice. It is the existence of fairness and opportunity too”. 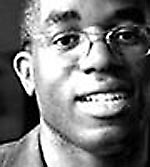 Thomas L Blair is a sociologist writing on creative renewal in Black Britain and Afro-Europe, see Chronicleworld website http://www.chronicleworld.org.